Saacha is about a poet, a painter and a city. The poet is Narayan Surve, and the painter Sudhir Patwardhan. The city is the city of Mumbai (a.k.a. 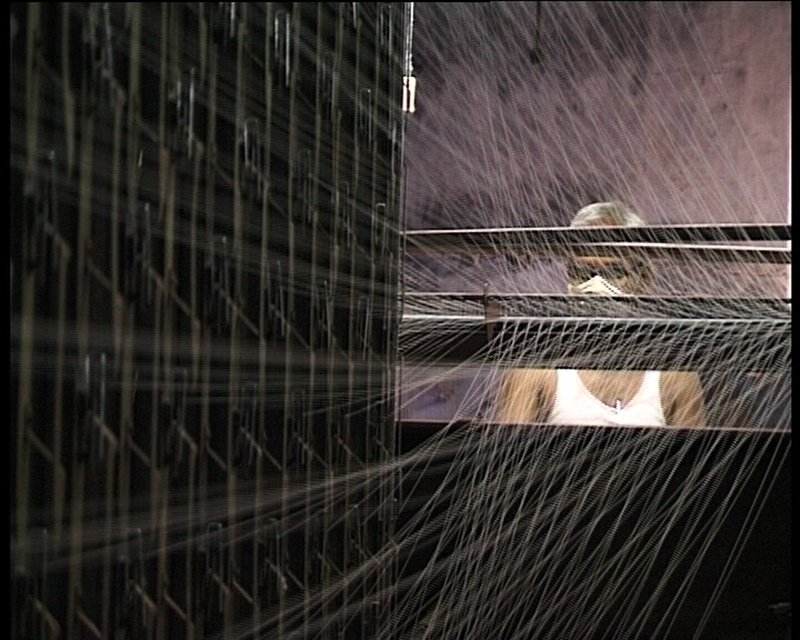 Bombay), the birth place of the Indian textile industry and the industrial working class. Both the protagonists have been a part of the left cultural movement in the city. Weaving together poetry and paintings with accounts of the artists and memories of the city, the film explores the modes and politics of representation, the relevance of art in the contemporary social milieu, the decline of the urban working class in an age of structural adjustment, the dilemmas of the left and the trade union movement and the changing face of a huge metropolis. An abridged 30 Mins. version of the film is at the Tate Modern as a part of the exhibition Project Space: Word. Sound. Power. Anjali Monteiro (http://tiss.edu/faculty/Monteiro/) and K.P. 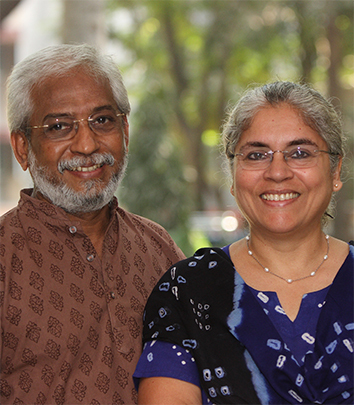 Jayasankar (http://tiss.edu/faculty/Jayasankar/) are Professors at the School of Media and Cultural Studies, Tata Institute of Social Sciences, Mumbai. Monteiro has a Masters degree in Economics and a Ph.D. in Sociology. Jayasankar has an M.A. in German Studies and a Ph.D. in Humanities and Social Sciences. Both of them are involved in media production, teaching and research. A presiding thematic of much of their work has been a problematising of notions of self and the other, of normality and deviance, of the local and the global, through the exploration of diverse narratives and rituals. These range from the stories and paintings of indigenous peoples to the poetry of prison inmates. Jointly they have won thirty national and international awards for their films. These include the Prix Futura Berlin 1995 Asia Prize for Identity- The Construction of Selfhood, Best Innovation, Astra Film Festival 1998, Sibiu, Romania for YCP 1997, Best documentary award at the IV Three Continents International Festival of Documentaries 2005, Venezuela, for SheWrite ,Certificate of Merit, Mumbai International Film Festival 2008, Indian Documentary Producers Associuation (IDPA) Gold for Best Sound Design, Gold for Best Script and Silver for Editing for the film Our Family. Their most recent award is the Basil Wright Prize for So Heddan So Hoddan (Like Here Like There) at the 13th RAI International Festival of Ethnographic Film 2013. Vibgyor Film Festival, Kerala, Bangalore Film Society and Madurai International Film Festival have organised retrospectives of their work in 2006, 2010 and 2012 respectively. They have several papers in the area of media and cultural studies and have contributed to scholarly journals such as Cultural Studies. They are both recipients of the Howard Thomas Memorial Fellowship in Media Studies, and have been attached to Goldsmith’s College, London and the University of Western Sydney. They were both attached to the University of Lund, Sweden as Erasmus Mundus Scholars in 2013. Monteiro was a Fulbright visiting lecturer in 2006-07 at the University of California, Berkeley. In mid 2013, they will be at the University of Technology, Sydney as visiting professor/fellow, for a semester. They also serve as visiting faculty to several leading media and design institutions in India and abroad. They are both actively involved in ‘Vikalp‘, which is collective of documentary filmmakers campaigning for freedom of expression. They are also associated with various media and voluntary organisations.